After an amazing season that’s stretched right around the world and given us six months of slick highlights, we’re finally down to the season-ending “Super Bowl of SUP” in Southern California. 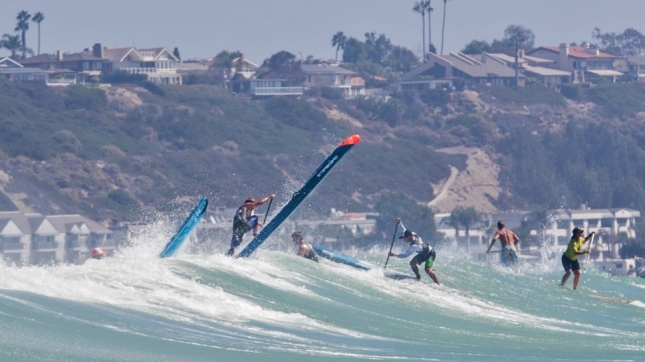 The 2017 Pacific Paddle Games presented by Salt Life are set to light up Doheny State Beach this weekend, with scores of weekend Joes and virtually every single one of the world’s best paddlers making the annual pilgrimage to Dana Point. Combine this elite level of talent with the hundreds of weekend warriors, charging grommies, an iconic location and the record $60,000 prize purse, and we’re set for an exciting show. On Thursday night, the SUP Awards will take over Doheny to honour the best (and most popular) paddlers of the past 12 months. But before that, SUP Racer will be hosting a special Facebook Live stream with the crew from Quickblade Paddles, including interviews with the stars of Team QB and a few sneaky predictions ahead of the big showdown. We’ll also be debuting a special new feature during this year’s QB Preview Show: ‘Golden Buoy’ predictions! 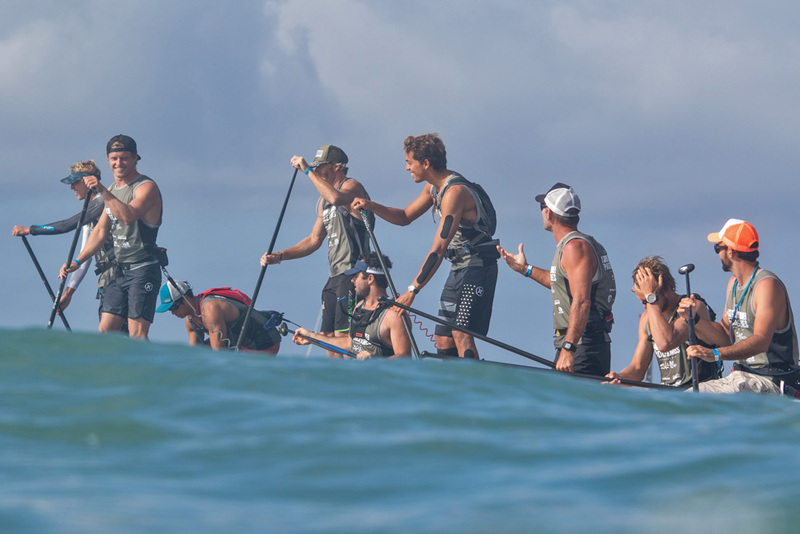 I think one of the real highlights of SUP racing is seeing who can get the money shot by reaching the opening buoy turn (which we nicknamed the ‘Golden Buoy’ a few years back) in first place. Who’s going to steal the glory this year? Boss Man’s signature “Bold (and not so bold…) Predictions” will go out on Friday evening, where I try to accurately predict the overall top 10 for both men and women. With virtually every single paddler in the world lining up on Saturday, I’m not even going to pretend I have any idea who’s going to win this event. But it wouldn’t be SUP Racer without a few predictions, so let’s have some fun and see how close we can get to the mark. Watch the LIVE WEBCAST on Facebook (via SUP the Mag’s page) with Dave Kalama, Beau Hodge, Dreu Murin and SUP Racer calling the action. – 1x heat of 16 women. This is the big one! 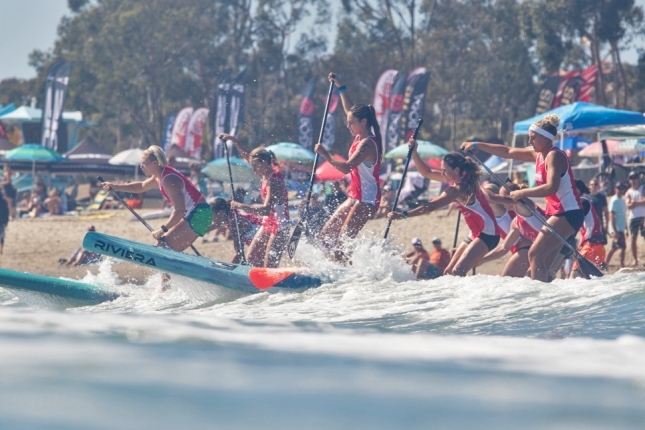 – up to 20x teams of 4 paddlers battling around a 4-lap course. Should be an entertaining end to the event. Buckle up. It’s going to be a big week!